“They tell me that I have fire in my feet because I never stop moving,” Sister Valdete says with a twinkle in her eye. She continues talking, almost out of breath, her hands moving to match the urgency in her voice. 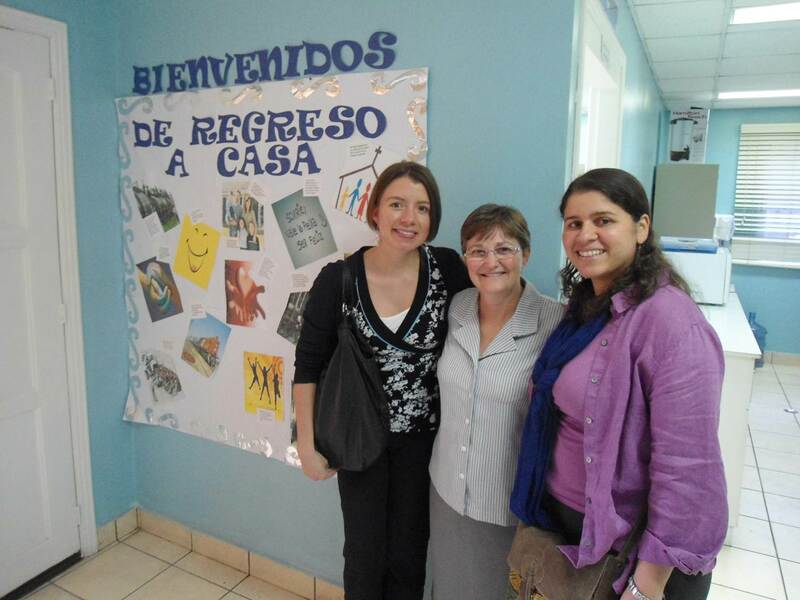 On a hot spring day in 2012, I found myself in Tegucigalpa, Honduras with my colleagues visiting the Centro de Atención al Migrante Retornado (the Center for Returned Migrants or CAMR). 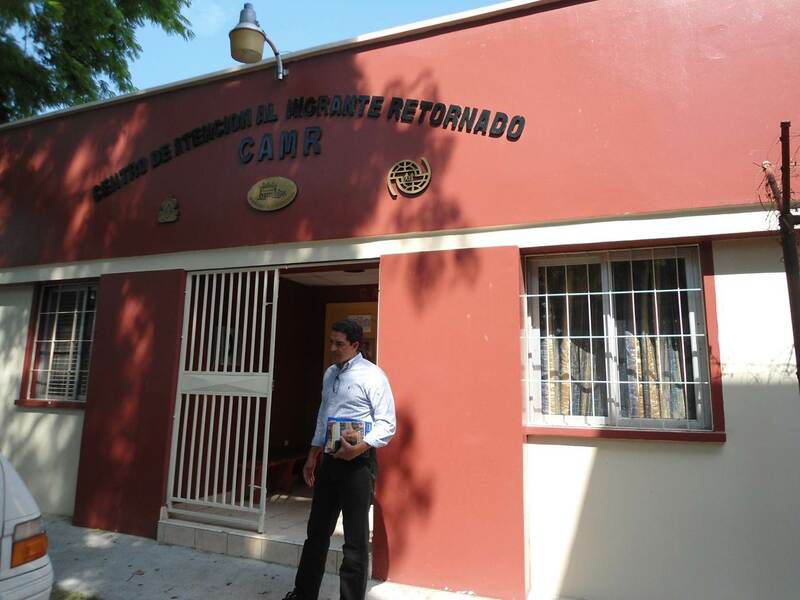 Initiated in 2000 by the Scalabrini Sisters (Sister Valdete’s order), the Center aims to receive deported Honduran migrants from the U.S. and support their immediate needs upon their return. There are currently two such centers in the country, one in Tegucigalpa and one in San Pedro Sula, both located immediately next to the international airports in each city. Sister Valdete, the lively, unassuming, and barely five-foot-tall director of CAMR, has been running the Tegucigalpa center almost since its inception and has not stopped moving since in order to ensure that migrants get the best possible treatment upon their return. On this particular day, there are no scheduled flights but Sister Valdete nonetheless explains the process to us. A few months into 2012, the Center has already witnessed a higher number of returning migrant flights than during the same months of the previous year. Currently, three flights a week of approximately 120-150 people each arrive, totaling more than 1,000 migrants per month. The migrants are picked up from all over the U.S., and with flights covering any place between the East and West Coast, a passenger could easily be on a plane for over ten hours. All migrants fly handcuffed for the entire duration of the flight to ensure the “safety” of the U.S. Immigrations and Customs Enforcement officers on board, the Sister tells us as her voice rises and her face flushes red. “Is this correct? Does this seem right to you?” she asks us, raising her voice further; the answer is implicit in her tone. Often migrants barely get a chance to drink water or go to the bathroom, so Sister Valdete and her staff greet them upon their arrival with water and show them the way to the restrooms. The Center then allows them to make free phone calls to tell their family members of their arrival and, in some cases, supports migrants with small amounts of cash for transportation back to their communities. We ask her how many of the deported migrants have criminal backgrounds. “Not many,” she responds, sighing and looking through her records for the next incoming flight. She is well aware of the stereotype in both Honduras and the U.S. that many of the deported migrants are dangerous and have criminal records. On that particular flight, only two migrants are listed as having a criminal background according to the information provided to her before every flight. Two out of 120. Between ten to fifteen women, less than ten percent, make up every flight. A woman in her sixties once arrived in her pajamas, the Sister tells us, shaking her head. The woman never got the chance to change her clothes after she was arrested in the U.S. and subsequently deported, despite having lived in the U.S. for over twenty years. Her relatives, all in the U.S., were now searching for a coyote, or smuggler, to bring her back. Sister Valdete has had several confrontations with Honduran government officials on the issue of the exact landing location of migrant-carrying planes at the airport. Government officials always seem concerned that these planes interfere with commercial flights, but Sister Valdete emphasizes that it is ultimately a question of “image” for them, a worry that the planes might taint visitors’ impression of the country. “I was on TV and everything fighting them,” she says proudly. I wonder where this woman gets her energy. A day later, we take a bus to San Pedro Sula and I get the chance to witness the arrival of a plane at this center. When my colleague and I enter the main room where the migrants wait, we are practically the only women; the room is overwhelmingly male and young. A hundred or so sit, waiting for volunteer staff to call them for interviews. The majority of migrants have few belongings—a simple backpack, a plastic bag—probably all they had been allowed to hold on to. We overhear snippets of interviews, “. . .stopped at a red traffic light. . .left my three children. . .had been there for eleven years. . .this is my second time trying to go. . .I’m twenty-one. . . .” The air inside the building feels stale and heavy, the mood quiet and hopeless. Most migrants return with little or no money to face even fewer employment prospects. Despite the numerous reports I’ve read on the record high deportation rates characteristic of the current U.S. administration’s immigration policy, these visits in Honduras made the situation much clearer for me. Many of the migrants, increasingly from Central America, are returning to communities and cities often consumed with organized crime, gang violence and some of the world’s highest homicide rates. While migrants still leave for economic reasons, such as better job opportunities in the U.S., they are also migrating to escape being killed, or with the simple hope of being reunited with their family members in the U.S. These new reasons factor into their decision to leave their country of origin and risk their lives on an extremely dangerous 1,800-mile trek through Mexico to find a better life in the U.S.
“I’d rather die trying than be killed in my home,” migrants often say. At the end of the week, pieces of the migrants’ stories overheard in the San Pedro Sula Center mix in my mind with Sister Valdete’s determination to protect their rights and welcome them “home” when no one else does. 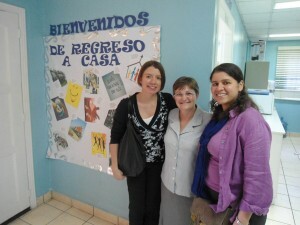 While the important work of Sister Valdete and other unsung heroes sprinkled across the region remains indispensable, the U.S., Mexico, and all the countries of Central America have their work cut out for them in addressing the protection of migrant rights as part of the realities of long-term regional migration. Daniella Burgi-Palomino is a master’s candidate at The Fletcher School of Law and Diplomacy focusing on the intersection of human security and public policy. She took this trip in the post she held before coming to Fletcher. This was in early 2012. According to some reports, in 2013 a total of 40,000 migrants were estimated to have been returned as deportees to Honduras from the U.S.
 On a subsequent trip in 2013 I found that these planes were no longer allowed to land at the Tegucigalpa airport, and were now confined solely to the San Pedro Sula airport. Sibylla Brodzinsky, “Inside San Pedro Sula, The most violent city in the world,” The Guardian, May 15, 2013.